Slip In to chic comfort with this high-heeled clog by Swedish Hasbeens&amp#174, a classic with a ~70s twist! Natural grained leather upper. Slip-on silhouette for easy on and off. Synthetic insole. Lime tree wooden platform and heel. Rubber sole. Made in Sweden. Measurements: Heel Height: 3 1 4 in Weight: 9 oz Platform Height: 1 1 2 in Product measurements were taken using size 38 (US Women~s 8), width B - Medium. Please note that measurements may vary by size. Weight of footwear is based on a single item, not a pair. Outshine any fashionista while wearing these Swedish Hasbeens&amp#174 Peep Toe Super High sandals! Natural grained leather upper. Ankle strap with adjustable buckle closure. Peep-toe. Synthetic insole. Lime tree wooden platform and heel. Rubber sole. Made in Sweden. Measurements: Heel Height: 3 1 4 in Weight: 9 oz Platform Height: 3 4 in Product measurements were taken using size 38 (US Women~s 8), width B - Medium. Please note that measurements may vary by size. Weight of footwear is based on a single item, not a pair. 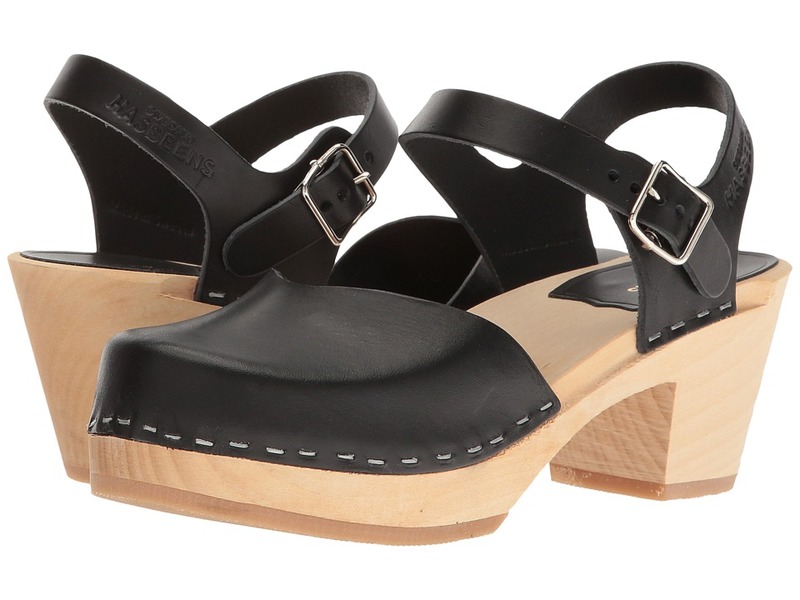 Secure your chic style with this ~70s-inspired Swedish Hasbeens&amp#174 clog! Natural grained leather upper. Ankle strap with adjustable buckle closure. Synthetic insole. Lime tree wooden platform and heel. Rubber sole. Made in Sweden. Measurements: Heel Height: 2 1 2 in Weight: 10 oz Platform Height: 3 4 in Product measurements were taken using size 38 (US Women~s 8), width B - Medium. Please note that measurements may vary by size. Weight of footwear is based on a single item, not a pair. 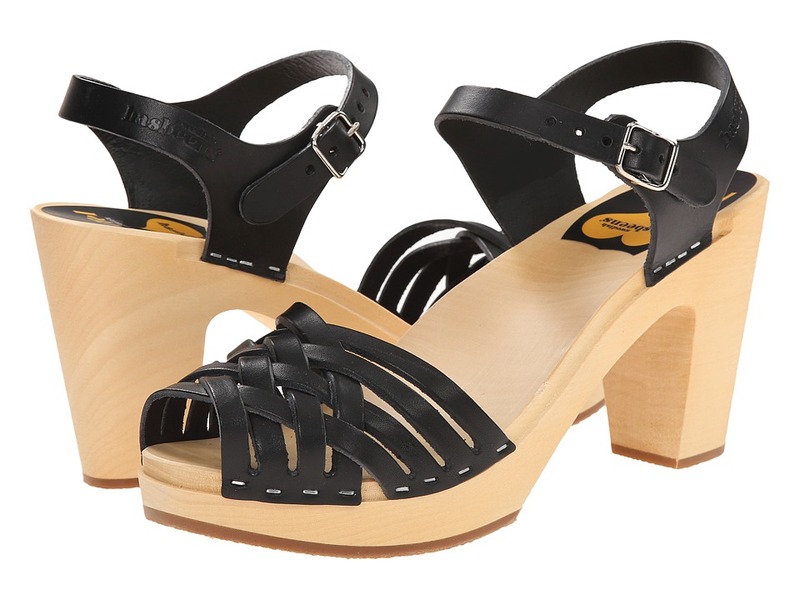 You~ll do some major damage at work with these vintage-inspired Swedish Hasbeens&amp#174 sandals! Natural grained leather upper. Ankle strap with adjustable buckle closure. Synthetic insole. Lime tree wooden platform and heel. Rubber sole. Made in Sweden. Measurements: Heel Height: 2 1 2 in Weight: 10 oz Platform Height: 1 in Product measurements were taken using size 38 (US Women~s 8), width B - Medium. Please note that measurements may vary by size. Weight of footwear is based on a single item, not a pair. 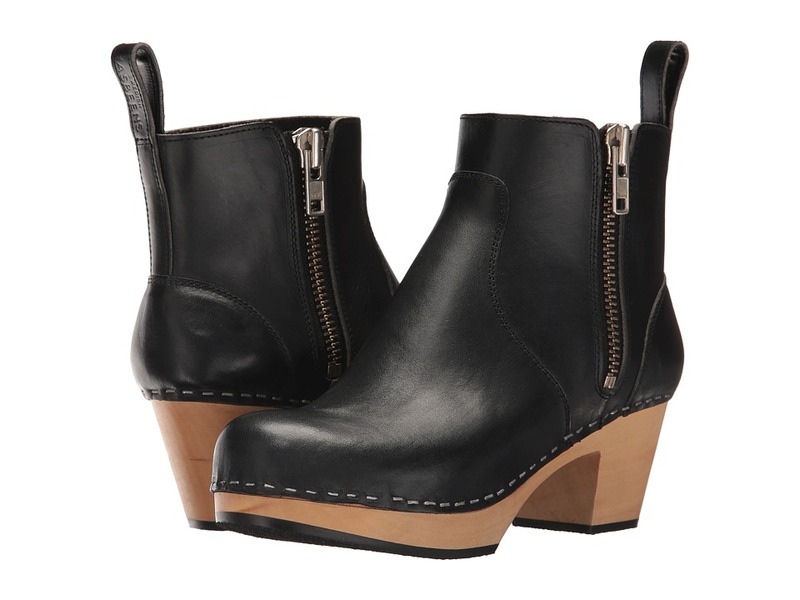 There~s no competition when it comes to these Swedish Hasbeens&amp#174 Zip It Emy booties! Natural grained leather upper. Side zipper closure. Synthetic insole. Lime tree wooden platform and heel. Rubber sole. Made in Sweden. Measurements: Heel Height: 2 1 4 in Weight: 13 oz Circumference: 11 in Shaft: 4 3 4 in Platform Height: 1 in Product measurements were taken using size 39 (US Women~s 9), width B - Medium. Please note that measurements may vary by size. Weight of footwear is based on a single item, not a pair. Make fashion history while wearing these vintage-inspired Swedish Hasbeens&amp#174 sandals! Natural grained leather upper. Ankle strap with adjustable buckle closure. Synthetic insole. Lime tree wooden platform and heel. Rubber sole. Imported. Measurements: Heel Height: 2 3 4 in Weight: 10 oz Platform Height: 1 in Product measurements were taken using size 39 (US Women~s 9), width B - Medium. Please note that measurements may vary by size. Weight of footwear is based on a single item, not a pair. 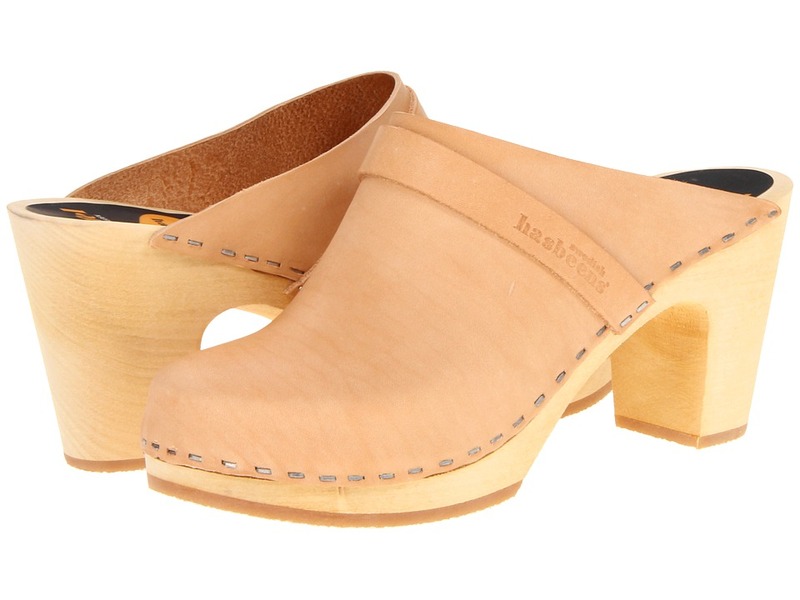 Secure your chic style with this ~70s-inspired Swedish Hasbeens&amp#174 clog! Natural grained leather upper. Ankle strap with adjustable buckle closure. Synthetic insole. Lime tree wooden platform and heel. Rubber sole. Made in Sweden. Measurements: Heel Height: 3 1 2 in Weight: 10 oz Platform Height: 1 in Product measurements were taken using size 39 (US Women~s 9), width B - Medium. Please note that measurements may vary by size. Weight of footwear is based on a single item, not a pair. Step out with the Suzanne from Swedish Hasbeens! Leather upper. Buckle closure. Peep-toe silhouette. Top-stitch accent. Leather lining. Wooden footbed. Wooden, chunky heel and platform. Rubber sole. Imported. Measurements: Heel Height: 3 1 2 in Weight: 10 oz Platform Height: 3 4 in Product measurements were taken using size 36 (US Women~s 6), width B - Medium. Please note that measurements may vary by size. Weight of footwear is based on a single item, not a pair. Uplift your wardrobe with the T-Strap Sky High from Swedish Hasbeens! Leather upper. Buckle closure. Closed toe. T-strap silhouette. Leather lining. Wooden footbed. Wooden heel and platform. Rubber sole. Imported. Measurements: Heel Height: 3 1 2 in Weight: 11 oz Platform Height: 1 in Product measurements were taken using size 39 (US Women~s 9), width B - Medium. Please note that measurements may vary by size. Weight of footwear is based on a single item, not a pair.